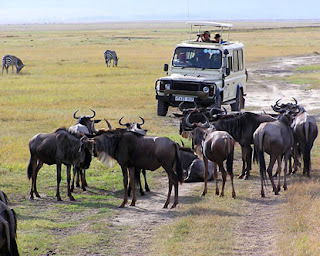 LETS GO TRAVEL KENYA (SAFARIS): What to expect on a rainy safari? 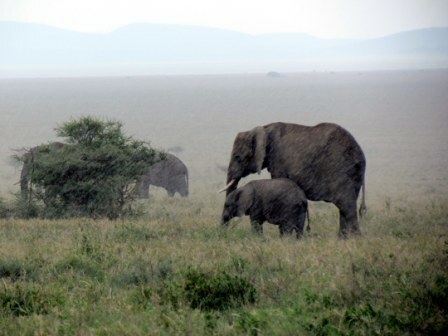 What to expect on a rainy safari? Time and time again we have told you that if you are a budget traveller and would love to explore Kenya, the best time to do so is during the low season which falls between the months of April, May, June and November. This period sees most of the hotels and lodges across the country lower their usual rate thus making it the most pocket friendly time to travel. However, what we fail to tell you is.... these are also the months that Kenya experiences the rainy season. 1. Pack warm clothing as opposed to light outfits. 2. Pack a hot water bottle just in case the hotel/lodge does not have some. A travel mug would be good for sipping some hot coffee while on a morning game drive. 4. Do not forget to carry your binoculars. It is a bit more difficult to spot animals while on a safari game drive when it is in the rainy season as opposed to when it is dry. This is because during the dry season the animals will crowd a water source to drink water however during the rainy season; water is easily at their disposal. 5. Rainy proof pouch to carry your delicate items such us your phone or camera are great! This will make sure that should you drop your phone/ camera, it will not get damaged by the water pools created due to the rain. The above are just but a few of the suggestions that would come in handy. These factors should however not dampen your happy-go- spirit, instead should act as motivates to an adventurous time out there! The rainy season means the grass in the wild is greener, thus most of the animals will be out grazing therefore enhancing your chances of seeing more wild animals! In general it is still a very worthwhile period to safari especially when you think the rate is so much cheaper! SO... let’s hear from you, what else do you think is a good tip while you are out on a safari and it’s pouring?